If you need holistic diet consultation for your pet, please go to our Holistic Pet Wellness Consultation where professional nutritional instructions will be custom created for you and your pet. Many animals have experienced great improvement to their health, hair/coat, immune vulnerability, etc. since they started WildPets BIO Booster 5-in-1 Nutritional Therapy. See our clients' feedback below to learn their stories. Advanced Nutritional Supplement - consists of 30+ live functional foods and 12 essential cell salts for vibrant and optimum health, including tonic foods from Asia, North America & South America. Gentle Detox - Gently yet surely help the body to rid itself of heavy metals, junk and toxins while nourishing all bodily cells, tissues and organs so the body is supported during this detoxifying process, thus greatly reduce any uncomfortable effects due to detoxification (aka healing crisis). Especially suitable for pets who are chronically ill, has a weak immune system, older and very young pets who need to detox at a gradual pace. PH Balancer - In partnership with a balanced, hydrated, fresh natural diet (with real meat & vegetables), helps to return a natural balance to the acid alkaline pH levels in the blood stream. Any imbalances can cause a whole host of diseases in the body. Immunity Builder - Steadily strengthens the immunity level, cell by cell, rather than boosting and overworking an already weak and tired immune system. Body Tonic - Nourish organs, blood, qi (also called chi, orgone, vital life force), yin and yang qualities in the body. ... All-in-One. Every cell of our pet's body, including brain and nerve cells, requires proper, balanced, full spectrum nutrients (intact unprocessed) from Nature to support their optimum function and well being. Agricultural, industrial and warfare chemicals dumped into the environment causing soil enzymes and nutrients depletion and toxicity. Nutrients further eroded through modern food processing treatments. Incorrect pet diet, food additives, vaccinations and prevalent chemical pharmaceutical drugs use (also goes into the environment) damage our pets' DNA structure and digestive system rendering our pets' ability to absorb and assimulate nutrients less effective. Psychological, emotional and physical stress also deplete many nutrients in our pet's body. These are the top reasons why so many people and animals actually 'need' supplements, in addition to a natural healthy balanced diet, to stay properly nourished. All processed pet foods and supplements made with synthetic processed sources lack intact, non-processed, full spectrum benefits and vital life force despite their narrowly defined '100% complete and nutritionally balanced claim'. Who will benefit from BIO Booster 5-in-1 Nutritional Therapy? Puppies, kittens and young pet animals whose immune system is not yet fully mature and is very sensitive to stress (new owners, travel, moves, vet visits, etc.). Stress will weaken their immune system making them vulnerable to fleas, worms, parasites; minor and major infections; bacterial, viral & other DNA in vaccines; and powerful chemicals in vet drugs. BIO Booster is a great 'nutritional insurance' for these little ones to keep their levels of vitality and immunity up. Senior dogs, cats and older pet animals who have been on vaccinations, had surgery, drugs, illness or chronic health problems which all deplete vitamins, minerals, enzymes and micro nutrients 'reserves' in the body tissues. Use BIO Booster as 'nutritional therapy' for these deserving friends. Adult canine, feline, rabbits, and other pet animals who have been on a commercial diet (dry kibbles/pellets, canned, processed) for a long time, even if they have now switched to a balanced natural pet diet. Processed pet food not only has mass produced questionable ingredients (usually any nutrients come from synthetic sources), listed and hidden additives, nutrients-destroying heat processing and 'accidental' unbeneficial ingredients (not to mention some fraudulent marketing), they also insufficiently provide and even destroy valuable nutrients in your pet's body. BIO Booster is the perfect 'nutritional replenisher' for these pets. Even dog and cat on a natural raw or cooked diet that is 'not balanced' can also benefit from BIO Booster's 'nutritional supplementation'. E.g. Cats who refuse to eat vegetables. All animals, pets, rabbit, dog, cat, etc. who are going through life stage changes such as pregnancy, lactation, post natal care, recovering from illness/surgery and any major stressors can benefit from BIO Booster's 'nourishment qualities'. Pets who have been weakened by chemical flea/mite or heartworm programs (e.g. Advantage, Frontline, Ivermectin, Heartguard), regular vaccinations, multiple chemical antibiotic treatments, surgery drugs, chronic illness, physical and/or psychological stress. BIO Booster will be these pet's 'nutritional helper'. Animals who are showing nutritional deficiency signs such as chronic mediocre health, poor growth, dry brittle hair or nails, smelly coat, dull hair, oily hair coat, hair loss, regular discharges from the eyes or ears, poor digestion, bad breath, plague on teeth, chronic infection, stinky pee, parasites infestation (fleas, mites, worms, etc.) and/or yeast infection. BIO Booster will give essential 'nutritional support' for these pets. For dog, cat, rabbit, pets with chronic ailments such as skin disorders, allergies, heart irregularities, colds & flu, muscular weakness, weak digestion, gum and teeth problems, neurological weakness, low energy level, nervousness, irritability, fatigue, weight loss, anemia, urinary problems, etc. BIO Booster will give much needed 'nutritional fuel' to these animals. Working animals and pet athletes do require more nutrition than regular pets. BIO Booster will be the perfect 'nutritional companion' to their well balanced, fresh natural diet. Our WildPets BIO Booster 5-in-1 Nutritional Therapy is NOT made of synthetic vitamins and minerals like many pet supplements and premium pet foods. It is composed of 12 essential Schussler cell salts and 30+ natural functional foods, 'live' foods designed for nourishment therapy, and adds an element of vital qi (chi, orgone or life force) and tonic ability that synthetic ingredients do not possess (or destroyed during processing). WildPets BIO Booster 5-in-1 Nutritional Therapy is carefully formulated so that your pet can easily digest, absorb and use all of its full spectrum nutritious goodness, the best that Mother Nature has. This is a remedy you want to stay on for your pets for a long time, either as a nourishment therapy or a nutritional insurance. Many animals have experienced great improvement to their health, hair/coat, immune vulnerability, etc. since they started WildPets BIO Booster 5-in-1 Nutritional Therapy. We have two formulations of BIO Booster 5-in-1. Both blends have similar ingredients but the composition are different to suit the needs of those with different health conditions. The Stanley Blend is more suitable for pets with no health problems, weak immune system, chronic hypothyroid, thin blood, bleed easily, normal or acidic pH, kidneys/bladder stones & crystals (uric acid, cystine, struvite or magnesium phosphate), diabetes, pancreatitis and most other health conditions. Stanley Blend Ingredients: Spirulina, barley grass, wheat grass, ascorbic acid, beetroot, broccoli, carrot, kale, blueberries, maca root, mangosteen, noni fruit, acerola berry extract, apple, bladderwrack, cracked cell chlorella, kelp, pomegranate, watercress, apple pectin, asparagus, bilberry fruit, chia seed, hawthorn berries, cordyceps, reishi, shitake mushroom, pumpkin seeds, rosehips, cranberries, irish moss and Schussler 12 cell salts. 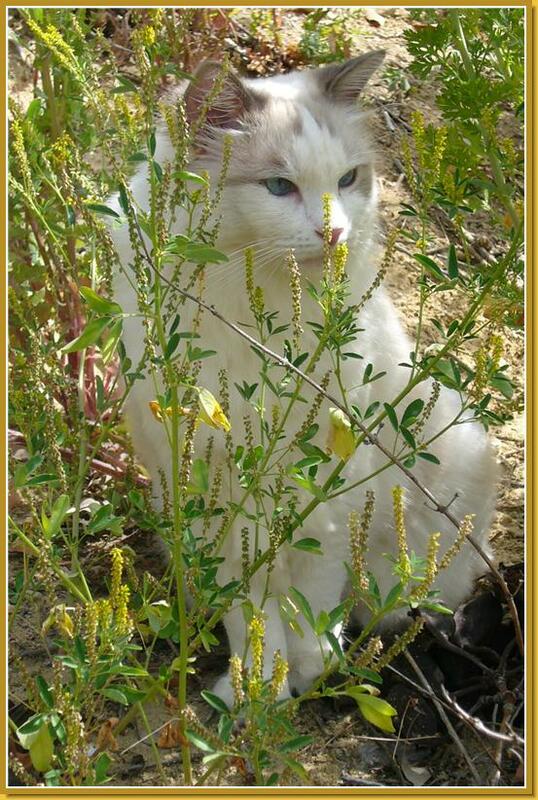 The Izzy Blend is more suitable for pets with chronic hyperthyroid, thick blood or blood that coagulates, alkaline pH, bladder/kidneys stones & crystals (calcium oxalate, calcium phosphate, calcium carbonate, all calcium stones), chronic heart congestion and Cushings disease. Izzy Blend Ingredients: Barley grass, spirulina, wheat grass, apple, broccoli, hawthorn berries, ascorbic acid, beetroot, carrot, blueberries, maca root, mangosteen, watercress, noni fruit, acerola berry extract, asparagus, cracked cell chlorella, kale, pomegranate, pumpkin seeds, rosehips, apple pectin, bilberry fruit, chia seed, cordyceps, reishi, shitake mushroom, bladderwrack, cranberries, irish moss, kelp and Schussler 12 cell salts. Suitable for dog, puppy, cat, kitten, rabbit, pet mouse, horse, pig, farm, wild, zoo and all canine, feline, equine and pet animals. Choose product size according to animal's weight. Calculations based on maintenance supply (2 doses per day). 0-10 lbs, 75 ml bottle lasts about 4 months. 11-25 lbs, 75 ml bottle lasts about 2 months. 26-50 lbs, 75 ml bottle lasts about 1 month. 51-100 lbs, 150 ml bottle lasts about 1 month. 101-150 lbs, 240 ml bottle lasts about 1 month. 151-200 lbs, 480 ml bottle lasts about 1.5 months. 201-300 lbs, 480 ml bottle lasts about 1 month. 301-400 lbs, 960 ml bottle lasts about 1.5 month. 401-1000+ lbs, 960 ml bottle lasts about 1 month. Not just a little supplement... Advanced, well-rounded pet nutritional therapy that yields tangible results. A perfect companion to a correct balanced diet for a solid health foundation. Full-spectrum functional foods Natural live foods that give your pets vital life force, unlike dead synthetic stuff. No cheating! 100% superb quality ingredients with No filler. Concentrated goodness A little each day builds big benefits. Immune building the right way Strengthen immune system from the ground up, not just a boost. Detox - the kind & wise way Detox at a gentle, consistent pace while supporting the whole body. Re-balance pH levels naturally The way Nature intended for all its creatures. General body tonic Like a tender kiss, nourishes every cell of the body. Directions for both powder and liquid dose As preferred by individual pet. Precise dosages Researched, tested, proven effective dosage amount. Palatable pet remedy Your pet may actually like the taste. Opaque packaging Protection from light & heat. Full instructions included Clear information on dosage, frequency and directions. Customer support Friendly and caring help even after you purchase. Additional Help Our holistic consultation and distant healing services can help with more complex problems. Stanley, a 7 yr old, ragdoll male cat, has been battling with skin problems for 2 years. It all started with demodectic mites and ear mites. Stanley was given one lime sulphur dip which almost killed him. Then he went on the Pets Best RX Program which only helped temporarily. He was also given an inordinate amount of antibiotics. Now, Stanley keeps licking his stomach and paws continuously, shakes his head, obsessively grooms himself, scratches his body and ears, sleeps quite a bit and has dandruff. He is still battling with demodectic mites and ear mites, as well as yeast and bacteria. His eyes need to be cleaned daily, nose always has a crust, claws have a black crust and his paws would be swollen and dry. His coat has not grown back to the way it was 2 years ago. Even though Stanley loves to eat and has not lost his appetite, he continues to lose weight battling all these parasites, yeast and bacteria infections. At his peak, he weighed 17 lbs and he got down to 13 lbs. The human has taken Stanley to see many vets, holistic vet and tried many nutritional supplements, natural remedies & shampoos with minor improvements yet incomplete satisfaction. Upon 1-on-1 consultation, we suggested to the person some minor yet important adjustments to the diet. We also suggested our WildPets Skin Trouble Shampoo, Skin Trouble Duster, BIO Defense and a custom blend of nutritional supplement for Stanley (BIO Booster 5-in-1 Nutritional Therapy), with added herbal ingredients for his heart murmur. While the remedies help Stanley fights the symptoms, the BIO Booster 5-in-1 Nutritional Therapy will help with his entire system so he DOES NOT keep producing these bacteria and yeast from the INSIDE OUT. "Stanley's coat is much thicker and there is less shedding, I feel no bacteria on his skin, sleeping more peacefully. His temperature is normal and yeast under control. He is a much happier cat." "The current blend (BIO Booster 5-in-1 Nutritional Therapy) seems to be really working. I think Stanley realizes this is helping him. He normally runs away from me when I am giving him something he doesn't like. For the custom blend, he just sits and opens his mouth - yeah!" Now Stanley takes BIO Booster 5-in-1 Nutritional Therapy, the Stanley blend (named after him), regularly to keep his health and immune system strong. 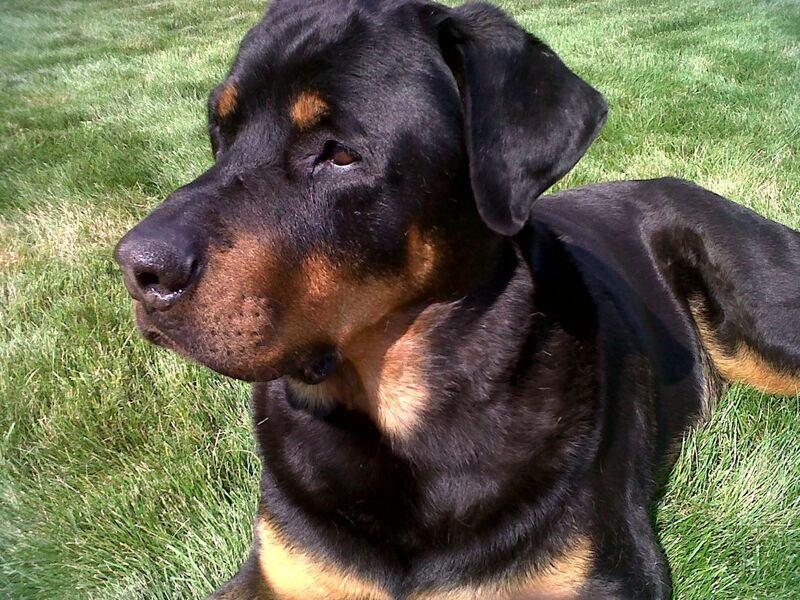 Case: Landor, a 10 year old Rottweiler male, was losing fur on his body and having other serious health problems. The human has no doubt that he has may be a week to live. Upon 1-on-1 consultation, we did extensive distant therapy with Landor, custom formulated herbal detox remedies for him, made corrections to his unbalanced natural diet, and recommended several supplements for him including BIO Booster 5-in-1 Nutritional Therapy and G.I. Revitalizer. "His coat is looking good, the shine has come back and he isn't shedding like he was. He seems to be feeling well as he has attempted to play with his tire and is quite alert and interested in everything. His coat is soft and shiny!" Case: Radar, a 7 month old male kitten, was living in a rescue centre. He was neutered recently, tattoed and received his vaccines. This human adopted Radar 3 weeks ago and noticed a sniffles when she first got him. Radar is very, very shy. Radar gets diarrhea from canned food. He has an unpleasant odor around him, he sneezes a lot now, mostly clear mucous, sometimes with a bit white, also at times with a bit of blood within the mucous. The person feels that for one so young, Radar has been through a lot and a trip to the vet would add again more trauma. So she comes to us for help. We suggested WildPets BIO Defense and Cough, Flu & Lung Formula for Radar's cold and flu, G.I. Revitalizer for replenishing good stomach bacteria which we believe are the source of the diarrhea, and a custom nutritional blend (BIO Booster 5-in-1 Nutritional Therapy) to give Radar great nutrition and immune builder to help him get stronger. "Radar is doing really well, he does all sorts of antics and has become very lively and mischievous. He has such a sweet nature, sleeps beside me now on my side of the bed. You can tell he's feeling fantastic. His cold is completely gone." "I weighed Radar, he is now 7.6 lbs, that's up from 6 lbs since we started him on the BIO Booster and G.I. Revitalizer. I want to thank you so much for everything you have done for us, you are such a blessing. It's nice to know there is someone like you to help us with our 4-legged family members." "Radar was one no one wanted because he is black and was extremely shy. To see him now you would not recognize him as that same kitten. Radar not so shy now! "Hi Pearl, Am I not the handsomest guy you've ever seen. I wish my mom would hurry up and go to bed, can't she see how exhausted I am from all the playing around. By the way I feel on top of the world, my mom continues giving me the personal pet remedy (BIO Booster) and the G.I. revitalizer for maintenance. Hugs to you from a grateful Radar and my mom Martina." Case: Indy, a slightly overweight but handsome 7 year old welsh corgi, is suffering. He is rolling around on his ear a lot with earache. Antibiotics are given for the ears even though there is no infection nor parasites in the ears. And they have not helped. His eyes are dry, red and he squints. When you give him a treat, he turns his head at funny angles to see the treat, snaps at it, and eventually you have to drop the treat in front of him. Vet said Indy has autoimmune cornea ulceration. Optimmune ointment is given, without it he will go blind, according to the vet. In fact, Indy is scheduled to see a vet specialist for the ears and eyes soon, for more tests and medication no doubt. Indy also suffered UTI and kidneys infection in the past. Recently Indy has diarrhea, profuse shedding and sudden dull coat. No energy. He becomes clingy when normally he is independent. Vet diagnosis of the digestive emergency is GI infection, due to immune suppression by the optimmune ointment for his eyes. So, ironically, more antibiotics are given for his diarrhea which lead to vomiting on top of diarrhea. Whenever the human touches Indy, her hand will get a strange rash that burns and itches. A strong tell tale sign for us about Indy's fluids condition within. The person comes to us for help in March. Upon 1-on-1 consultation, we identified most of the problems Indy has, including the supposedly complex eyes and ears problems, to two common 'sources'. So we recommended actions to correct these 'sources of problems' as well as BIO Booster 5-in-1, G.I. Revitalizer and a few of our relevant natural remedies. "Indy is doing so much better! He doesn't turn his head sideways when trying to take treats out of my hand or make me drop them in front of him because of his eyes. In fact, his eyes are not even red anymore. His coat has gotten thick again and tufts of fur have stopped coming out and ALL his digestive problems are gone!" "The rash on my hands has finally cleared up. Indy is also loosing weight slowly but steadily (about 1/2 lb per week). This is the first time I've had success getting Indy to lose weight. I'm so thankful you gave Indy quality of life back. He was miserable and it showed. I have not seen him with this level of energy since probably 2005 (7 years ago). Many thanks." P.S. They have also cancelled the specialist appointment for the eyes and ears problem as they are no longer a problem! Case: Shamu, a 10 year old domestic male cat, is having chronic vomiting, on and off appetite, periodic diarrhea, eating and puking grass plus hairball, and weight loss. Vet diagnosis ranges from lymphoma cancer to non specific inflammation of digestive tract. Chemotherapy, Prednisone, Pepsid AC, Metoclopramide, Metronidazole, Chlorambucil (Leukeran) are prescribed. Despite all these pet medications, Shamu continues to lose weight, vomit and have loose stools. Recently, he suffers acute renal failure. That's when the human come to us for help. Upon 1-on-1 consultation, we identified Shamu's original digestive symptoms are due to diet error and nutritional imbalance. The chemical drugs compounded the digestive problems, its overpowering effects lead ultimately to the acute kidneys failure. Not only are these drugs damaging Shamu's little body, they also do nothing for the 'source' of his digestive problems which remain unaddressed. Diet correction, several of our relevant natural remedies, plus a few relevant nutritional supplements, including WildPets BIO Booster 5-in-1 Nutritional Therapy, are recommended. Also, stoppage of the chemical drugs that are not helping anyway prevents Shamu from deteriorating further with his kidneys. "I would like to report to you that Shamu is doing quite okay after we have started the remedies since July 25. I can't thank you enough for helping us improve his condition. Your advice, comment and suggestion are very much appreciated." Months later, Shamu continues to be drugs free, staying on his new healthier diet, BIO Booster and G.I. Revitalizer. Whenever he gets an occasional upset tummy, he uses our natural remedies to recover quickly and without side effects. Consider switching to a balanced human-grade raw, semi-raw or cooked diet (organic raw is best) to reduce toxins intake from mass produced processed pet foods. Use holistic remedies and therapies whenever possible. Avoid surgery if possible. Do not overuse chemical antibiotics and use natural antibiotics for simple infections. Avoid vaccinations, chemical flea and dewormer programs, and chemical flea home treatment (see our Flea page for more info). 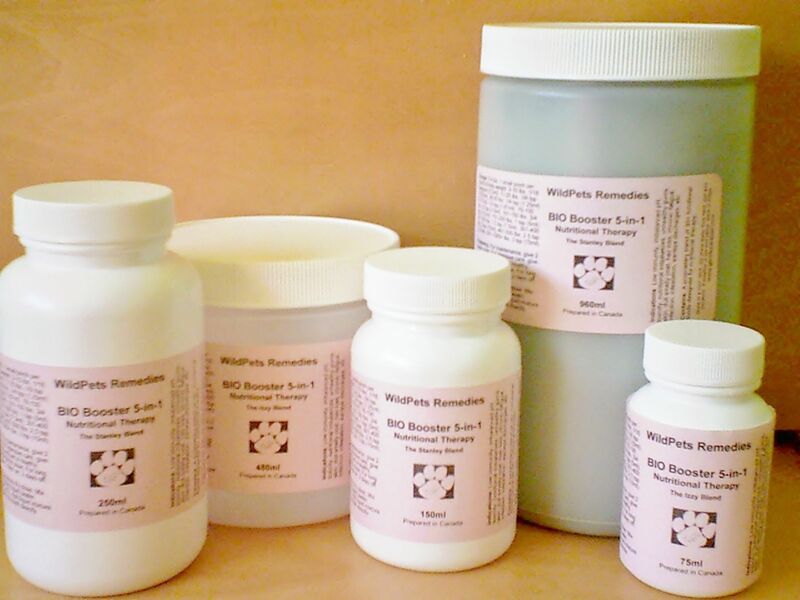 Do not overuse any chemical vet drugs, always explore natural alternatives and make sure the 'sources' of your pet's problems are identified and corrected. Other relevant health supplements may be useful for your dog, cat or pet's unique health condition. A fresh balanced diet, appropriate exercise, sunshine, fresh air, healthy boundaries and affection are all important for your pet's overall wellness. Minimize chemicals, drugs, toxins and stress as much as possible.